Pi Day of the Century at MoMath! 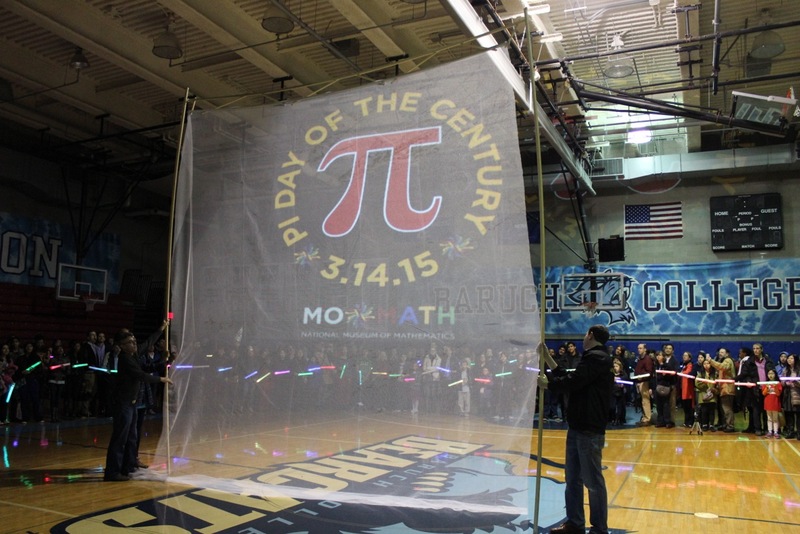 MoMath’s Pi Day of the Century celebration on 3/14/15 was a great success! It was wonderful to see everyone share their enthusiasm for pi all day long. Thanks to everyone who participated! The day began at 9 am with special activities to find pi, and a countdown to 9:26 am (3.14.15.9.26). Then, the Museum opened 30 minutes early for a day full of special pi-related activities, including a scavenger hunt through the exhibits, circular tic-tac-toe and pi puzzles, candy estimations of pi, and more. 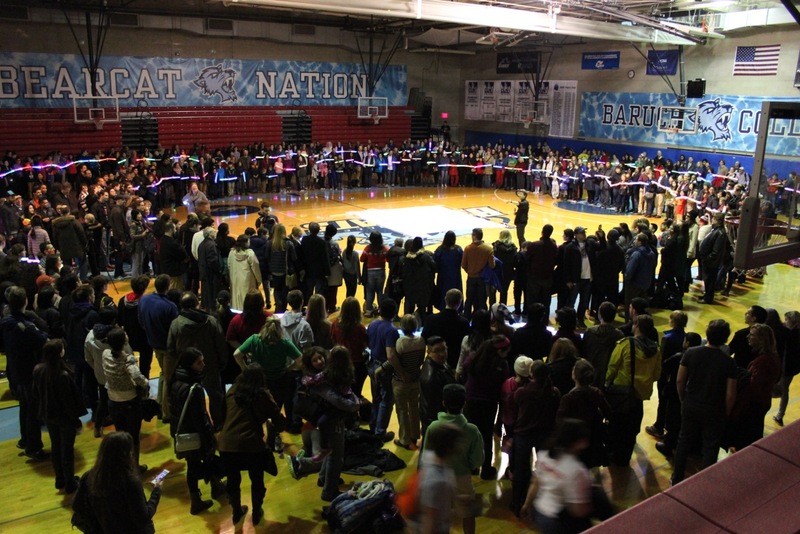 At 3:14 pm, the winners of the 2015 Pi Day competition were announced. Hear the winning pi-related songs and read the winning limericks and pi-kus (a three-lined poem with lines of 3, 14, and 15 syllables) here. 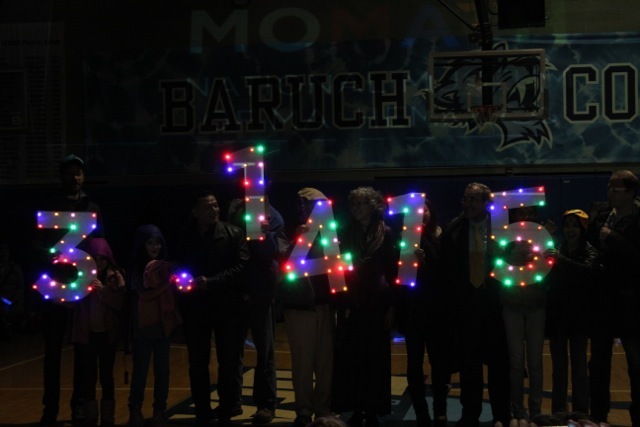 In the evening, pi fans met at Baruch Gymnasium to create a stunning illuminated demonstration of the meaning of pi — the second in a series of MoMath MathHappening events. Hundreds of New Yorkers created two giant circles with MoMath’s signature glowing light sticks in order to discover the beautiful recurrence of pi among circles of all sizes. Then, a Pi Countdown clock ticked down the time until 53 seconds past 9:26 pm (that’s 3.14.15.9.26.53), followed by free hot chocolate and pie from SD26 and Strong Place. 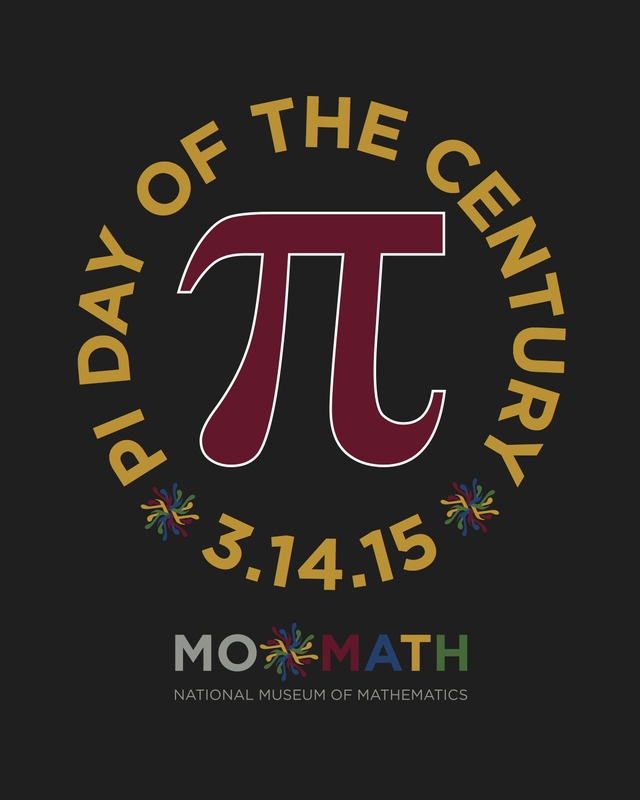 Want to learn more about the origins of pi and why 3/14/15 was so special? Find out here.